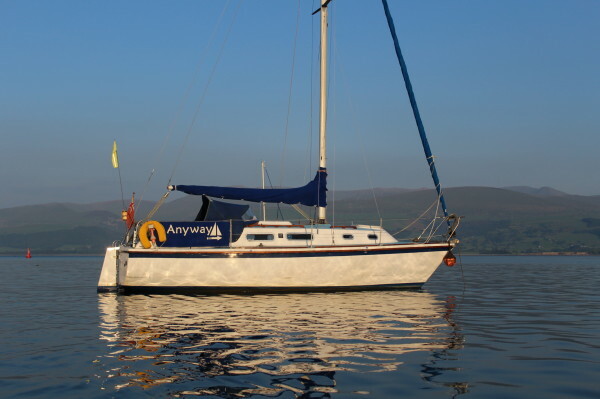 After a few ealy season sails in the bay, we were finally semi prepared to go and stay out. We got to the pontoon at 14:30 in warm and sunny weather. The crew was made up of Timo, Geke and myself. 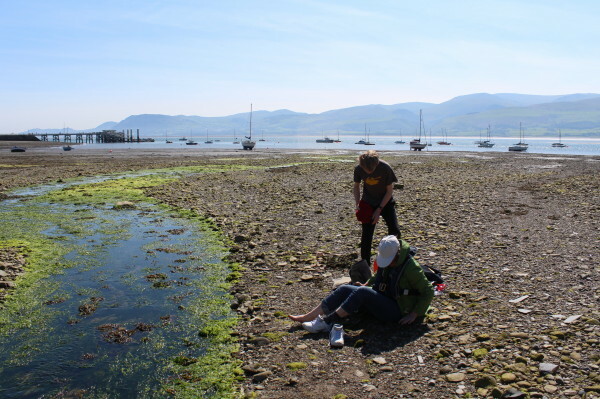 High water was late that day ~ 17:00 and we planned to go to Beaumaris or Red Wharf bay. 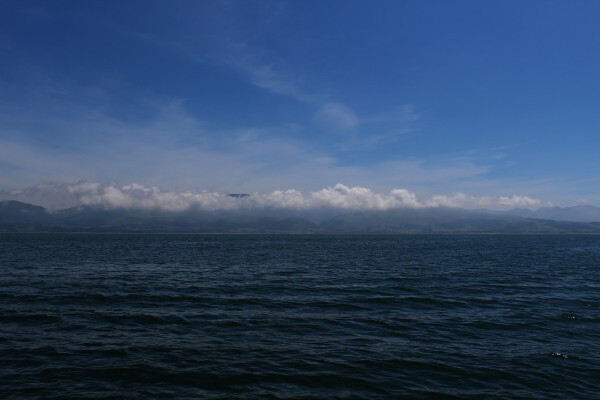 As the wind was turning North later, Beaumaris was the destination again. At 15:00 we set off and were under sail at 15:30 but there was little wind and shortly after the engine was recruited again. 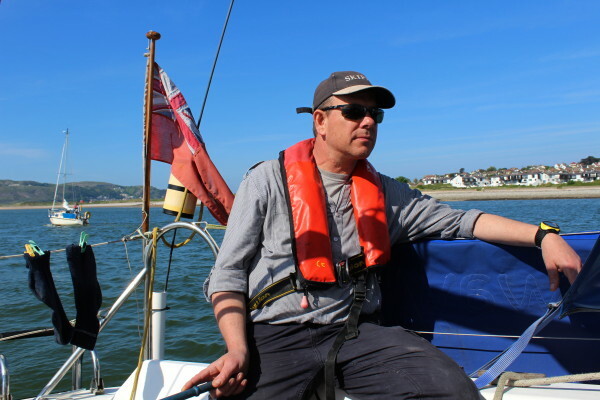 At 16:30 the sails were taken down with no wind and we motored to the Penmaen Swatch. To measure the height of the sand bank for a next crossing, our depth gauge recorded 4.4m over the highest part of the sandbank. With the tide at that point being 6.16m the bank must be about 1.7m. 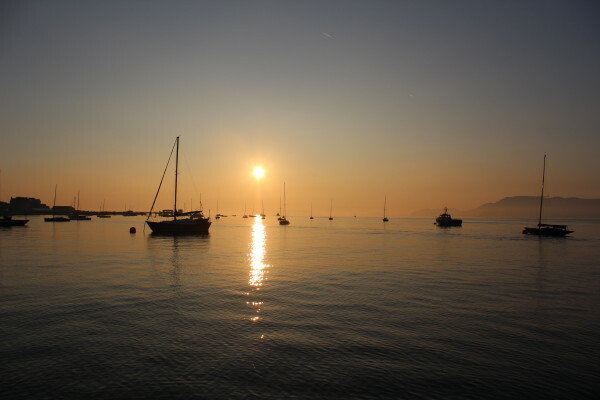 We arrived in Beaumaris at 18:30 and picked up a mooring in 6.4m water having done 11.3 NM. 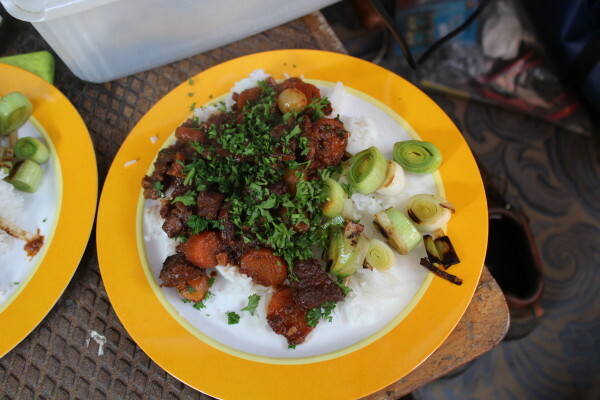 Dinner would be Boeuf Bourgignon and rice. I woke up about 05:10 in glorious sunshine, took some lovely pictures and went back to bed. Woke up again at 09:00 in light winds from the North (cold). 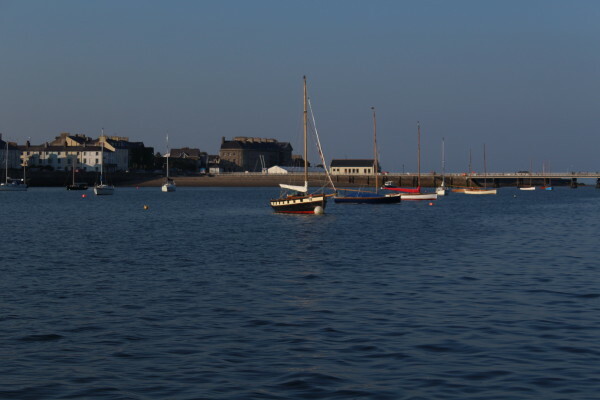 HW in Conwy would be late 18:20 @ 6.25m, so we had most of the day to potter around in Beaumaris. So we rowed ashore when the tide was still in and we could land on stone. In Beaumaris we had coffee and a banana milkshake baking in sunshine. The way back was a bit more cumbersome as a walk barefeet through mud mingled with stone, occasional chain, shells is a painful process. After lunch on board we set off at about 13:00 towards Puffin which we reached by 14:15. Forecast was for more Northerly winds at F5/6. 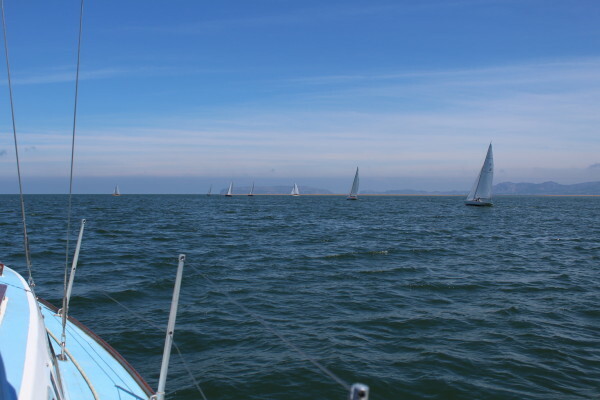 We mingled with a group of beautifully lined yachts in a race while motoring towards Puffin. We crossed the sandbanks with little clearing (<1.5 m) just to the East of Puffin and then headed towards Fairway. The views towards the North Wales coast were stunning. At about 16:00 we were close to Conwy. 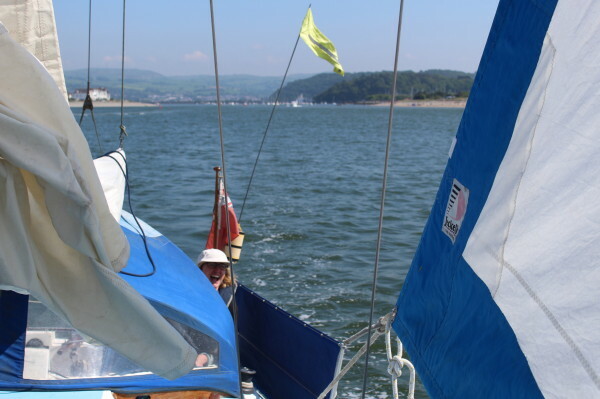 With the wind from the North we managed to sail right into Conwy river and switched the engine on only for the last bit. We moored at 16:50 and done 13.2 NM. On the pontoon, I noticed that our neighbours dinghy was stuck with considerable pressure under his stern ladder. While freeing it, my thumb got briefly stuck under the stainless steel pipe of the ladder and squashed it so the nail would have to come off. Great. We had pasta with spam and tomato sause for dinner and headed back home the next morning.